Born in 1980 from the meeting of keyboardist Pascal Globensky and multi-instrumentalist François Émon, French Canadian band Miriodor can be counted amongst the veterans of the current progressive rock scene. Surprisingly, despite the many changes the lineup has undergone in the past three decades, Globensky and drummer Rémi Leclerc, another of the band’s earliest members, are still on board – as is guitarist Bernard Falaise, who has been with the band for 20 years even if not part of its original configuration. Never a prolific outfit, with only eight studio albums released since their inception and lengthy breaks between each new release, Miriodor seem to have embraced the old tenet about quality trumping quantity. They have also maintained a healthy level of concert activity throughout the years, with high-profile performances at international events such as NEARfest in 2002, FMPM in 2007 and 2008, the Rock in Opposition Festival in Carmaux (France) and Sonic Circuits in Washington DC (where they opened for Univers Zéro) in 2010. Cobra Fakir, their eighth studio album, was finally released on Cuneiform Records at the end of September 2013, a few weeks after their appearance at the 19th edition of ProgDay. Though the album was recorded as a trio, Miriodor have gone back to being a quartet with the addition of bassist Nicolas Lessard, who replaced longtime member Nicolas Masino. As one of the landmark progressive rock releases of the first decade of the 21st century, Miriodor’s 2009 album, Avanti!, was a tough act to follow. Cobra Fakir, however, though it obviously shares a lot with its predecessor, it also shows the band moving in a somewhat different direction. While their sound – sometimes described as the “happy” counterpart to Univers Zéro austere gloom – is immediately recognizable, the band have made some changes to their compositional approach. Unlike Avanti!, which featured six longish tracks, Miriodor’s latest effort presents a wider range of running times, from the almost 9 minutes of the title-track to 2-minute interludes such as “Paris-Roubaix” (a perfect sonic rendition of the titular bicycle race with its layers of slightly atonal keyboards) and the appealingly noisy, almost improvisational “Un cas sibérien”. A longer track list also means a more noticeable diversity – with the shorter compositions providing an outlet for experimentation, often involving an array of inventive sound effects. Though there are no guests contributing to Cobra Fakir, this does not necessarily result in a more stripped-down sound, and very few listeners will miss Avanti!’s richer instrumentation. In fact, the album perfectly demonstrates how multilayered keyboards, far from becoming a byword for bombast, can be used for rhythmic as well as melodic and textural purposes. Leisurely acoustic guitar introduces “La roue”, whose upbeat main theme – as its title (“The Wheel”) suggests – hints at carnival music, offset by angular, somewhat darker patterns around the middle, and reinforced by sounds of clanging metal, breaking glass and the scratchy turntable effects that crop up throughout the album. The title-track sums up the album’s many faces in its 9 minutes of musical whirlwind – the sedate, meditative first half rendering in sonic terms the tale of the cobra and the fakir outlined in the liner notes, followed by a myriad of tempo and mood changes, often sharply veering towards dissonance yet always informed by an internal logic, then coming full circle with its melancholy, acoustic close. Only a handful of seconds shorter, “Tandem” has a more cohesive structure and an almost classical feel, with sampled flute and harpsichord complementing the piano and synth, and a plethora of sound effects intensifying the trippy, guitar-heavy mood of the ending. In “RVB7”, assorted percussive effects and the crystalline tinkle of the vibraphone create an amazing blend of sounds that enhances the keyboards and guitar in a lively, dance-like pace; while “Titan” hinges on a brooding, cinematic crescendo punctuated by organ, solemn drum rolls, and surging, distorted guitar, creating a Gothic atmosphere that evokes Univers Zéro. Without any need for words, “Speed-dating sur Mars” tells an entertaining tale through spacey effects and a sprightly, keyboard-led rhythm, as well as a brief, romantic piano interlude. More spacey goodness (as the title makes it quite obvious) is offered by “Space Cowboy”, where electronic effects hold sway, while melody, infused with a nostalgic Old-World flavour and the gentle sway of a waltz, is the key word in “Maringouin”, easily the most “mainstream” piece on the album. “Experiénce 7” wraps up the album with a short yet intense exercise in atmospheric buildup, conducted almost solely by surging keyboard washes and eerie sound effects. 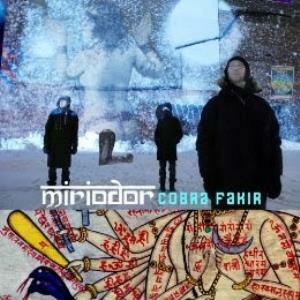 With its intriguing cover art juxtaposing Hindu mysticism and their native Québec’s winter landscape, Cobra Fakir may well confirm Miriodor’s status as the RIO/Avant band that – on account of their keen melodic flair coexisting with more boundary-pushing tendencies – manages to appeal even to staunch symphonic/neo fans. Balancing edgy dissonance and haunting atmospheres, engaging circus-like tunes and moments of reflection, the album will benefit from repeated listens in order to let its magic unfold, but will amply reward the listener’s patience. Another outstanding effort from one of the best live bands I have seen in the past few years – their understated mastery of their instruments as close to perfection as it gets – Cobra Fakir does not disappoint expectations, and will certainly feature in many “best of 2013” lists. 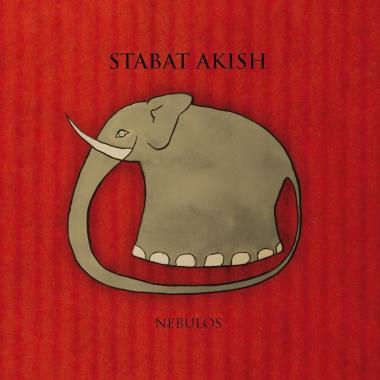 Based in the southern French city of Toulouse, Stabat Akish are a sextet formed in 2007 by bassist/composer Maxime Delporte. In 2009 they caught the attention of free-jazz icon John Zorn, who released their self-titled debut album on his own label, Tzadik Records. The band’s sophomore effort, Nebulos, was released on Italian label AltrOck Productions in the early summer of 2012. As much as I try to avoid resorting to definitions that might sound a bit overblown, “jazz meets chamber rock with a liberal dash of Zappaesque humour thrown in for good measure” describes Stabat Akish’s music quite effectively. With a distinctive, mostly acoustic instrumentation that rules out the guitar on all but one track, but places a heavy emphasis on reeds and mallet percussion (as well as on founder Maxime Delporte’s expertly handled double bass) they privilege a sophisticated delivery that, while undeniably full of twists and turns, is not as daunting as the typical output of other bands and artists found under the RIO/Avant umbrella. In fact, Nebulos is at the same time very complex and surprisingly approachable, and not just on account of its very restrained running time and light-hearted attitude. The band members, while all considerably gifted and in full command of their own instruments, behave like true ensemble players, and avoid hitting the listener over the head with their technical skill. On the whole, Nebulos is elegant and very pleasing to the ear, its intricate instrumental texture relieved by an appealing lightness of touch and a keen sense of melody that is not often associated with the genre. Even when the music possesses a loose, almost improvisational feel, it never sounds unscripted or haphazard. The title-track acts introduces the album in style, opening briskly then gradually slowing down, with all the instruments engaged in a sort of lively conversation, blending subtle electronics with warmer, organic tones. However, it is the second track – bearing the tongue-twister-like title of “Un Peuplier Un Peu Plié” (A Slightly Bent Poplar) – that best illustrates Stabat Akish’s effortless marriage of sheer melodic beauty and avant-garde tendencies. Pervaded by the heady tinkle of marimba and vibraphone and the ethereal, faraway strains of Olivier Cussac’s lap steel guitar, contrasted with buzzing sound effects and cascading drums, it is oddly cinematic and thoroughly riveting. Stabat Akish’s take on the old prog stalwart of the “epic”, the four-part “Sprouts”, is made of almost bite-size sections veering from the sax-driven, meditative mood of the first part to the classic jazz feel of the final part, and includes a short spoken-word section in which Sarah Roussel recites something concerning the titular sprouts. Roussel’s voice – almost an additional instrument – also stars in the 7-minute “Troïde”, the longest track on the album, and also the most openly experimental, in which an increasingly agitated phone conversation in three languages is punctuated by sparse drums, piano and whistling synth. “La Serrure” begins in low-key, atmospheric fashion, then suddenly turns into a very upbeat, circus-like tune; similarly, “Dynamique Cassoulet” packs an astonishing amount of variety in under 3 minutes, including a very entertaining appearance by reedist Ferdinand Doumerc in the role of a crooner. On the other hand, “Boletus Edulis” (the scientific name of the delicious porcini mushrooms) blends ambient-like sound effects of birdsong and burbling water with charming, Eastern-tinged percussion and flute; while “Le Chiffre” closes the album in style with a triumphant, albeit slightly chaotic big-band workout, in which the saxes are augmented by trumpet and trombone. An intriguingly classy effort, Nebulos is warmly recommended to lovers of modern jazz and RIO/Avant/chamber rock, though the more traditionally-minded faction of the prog audience might find it a more appealing proposition than other recent releases in a similar vein. Another fine release from the AltrOck roster, purveyor of endless musical surprises, the album – in keeping with the label’s tradition for outstanding visual packaging – is accompanied by high-quality artwork and photography.